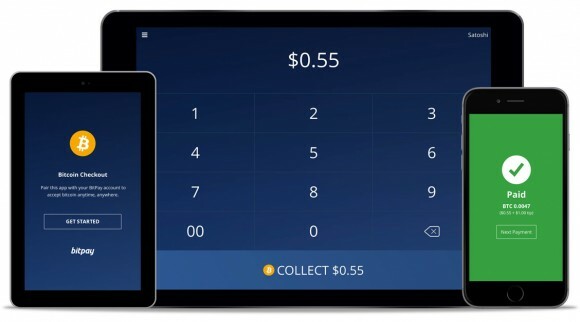 The payment processor BitPay has just released an application called Bitcoin Checkout for mobile devices using iOS such as iPhone and iPad as well as for Android-based tablets and smartphones making it quicker and easier for merchants to accept Bitcoin payments. BitPay’s new point-of-sale application Bitcoin Checkout is designed to be really simple and easy to be used to accept Bitcoin payments from customers, so that it can easily be used alongside existing point-of-sale systems. The application works with the familiar 2D barcodes for the payment, but also supports NFC for payments, though support that could be limited depending on what kind of mobile device is used by both the merchant and the customers. This is a clear example of how simple and easy an alternative form of payments such as Bitcoin can be integrated by merchants without the need of specialized hardware as a payment processor. When you add the very small transaction fees for the merchant for Bitcoin payments as compared to what credit card payment processors charge there is no reason not to add Bitcoin payments as an option for attracting new customers. For merchants accepting Bitcoin payments there is also no risk from the Bitcoin price changing significantly as pretty much all of them are immediately exchanging the Bitcoins they receive as payment into USD, EUR etc.